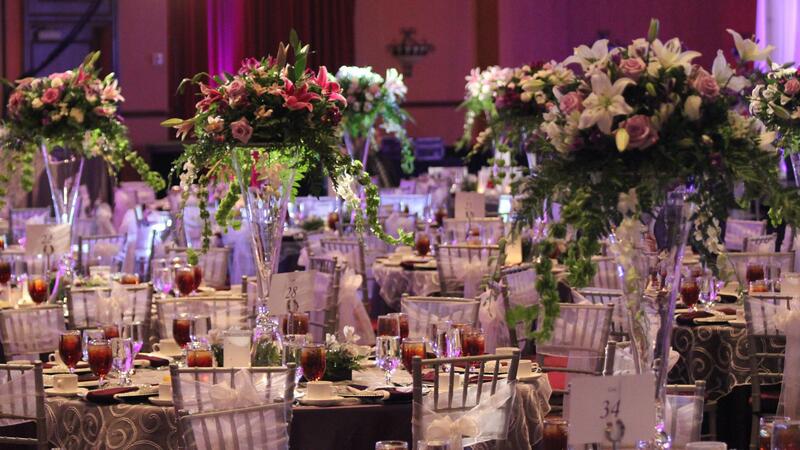 Rent Renaissance Tulsa Hotel & Convention | Corporate Events | Wedding Locations, Event Spaces and Party Venues. We are proud to be Tulsa's premier hotel. Adhering to the highest standards of hospitality, our staff is committed to providing flawless service, extraordinary amenities, and a "bring you back again" experience. they're planned. Marriott Certified Wedding Planners are trained to help. After completing demanding coursework, each Marriott Certified Wedding Planner is qualified to coordinate weddings of all types, including ethnic and military weddings. Relying on experience, training, tradition and old-fashioned intuition, Marriott Certified Wedding Planners can help you determine an overall vision for your wedding and help you execute each detail. That includes setting an event budget; deciding on a menu; arranging table settings; and finding florists, photographers, a band and other entertainment for the big day. NOW Providing COMPLIMENTARY Round-Trip AIRPORT TRANSFERS. The hotel extends traditional service to a contemporary clientele, our hotel offers gracious accommodations in elegant European style. We are ideally located in the heart of the city's shopping and dining district and surrounded by restaurants, entertainment venues, and Oklahoma's largest shopping mall. Visitors enjoy luxuriously appointed guest rooms that provide relaxation and contentment. For the business traveler, high speed internet access and a well designed work station encourage comfort and productivity. And our award winning Cyprus Grille Restaurant/Merlot's Lounge offer exquisite dining with a warm ambiance.